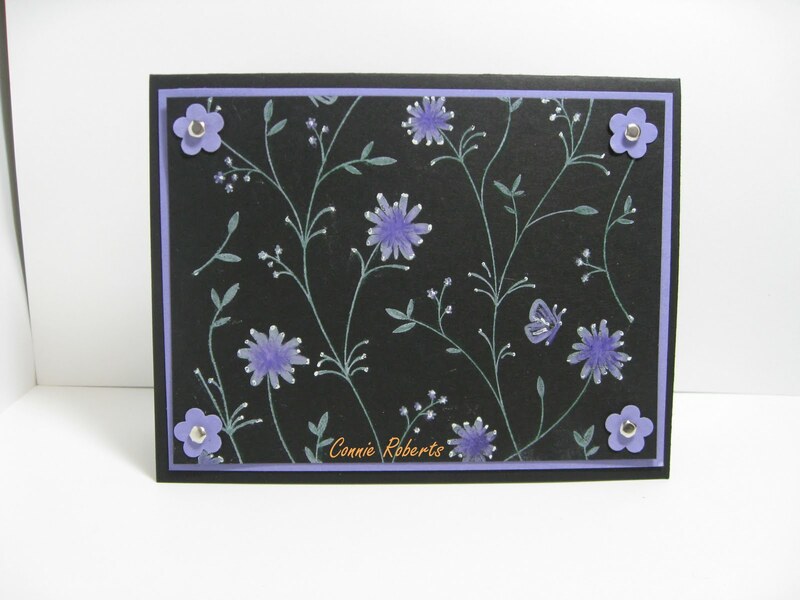 Stamp Set Pretty Petals,Cardstock Basic Black,Lovely Lilac,non Su water color pencils,Su brads,SU flower punch. 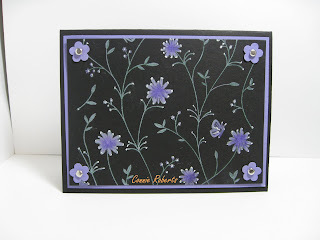 I've always liked this stamp set but have never used it until now. I love how it turned out. 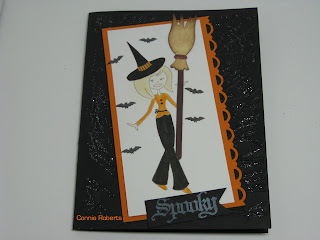 You should check out the new mini catalog it has some real cool stuff for halloween and Christmas. It will be over on the right hand side. 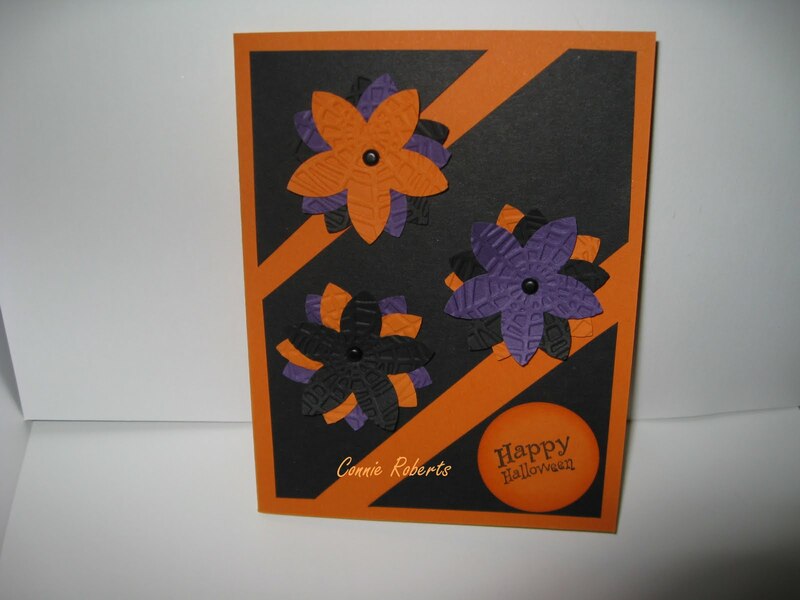 Products used SU flower punch, 1 3/8" circle punch, SU Basic Black card stock,pumpkin pie card stock. Brads are non SU and the spider web embossing folder is non SU also.